iTunes keeps the iOS backup folder directly on the system drive. The space on your primary Windows partition – precious and often scarce – is constantly reduced with the ever-expanding iOS backup folder. iTunes does not allow to change the backup folder location; what’s the solution? 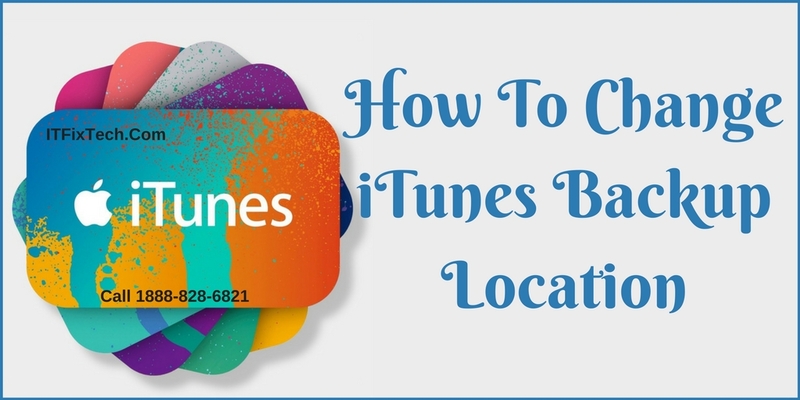 Follow the steps below in order to easily change the iTunes backup location. Firstly, you should create a new iTunes backup folder on D drive, E drive or any drive that has more free storage space. Also, you can create the folder in a flash drove, thumb drive, external hard drive, etc. You can name the folder as "New iTunes backup" and any name that is descriptive enough. Rename the folder name from "Backup" to "Old iTunes Backup" or anything else. You may find it is not easy to understand what symbolic links is. Actually, you don't have to know much about it as long as you can create a symbolic link by following our steps. But if you want to know, we provide the background knowledge for you at the end of the page too. You will now see the command prompt window return a success in creating a junction. And a new folder shortcut called "Backup" will appear in the original location. Now, delete old iTunes backup files existing in the MobileSync folder. Then connect your iPhone to PC and back up it with iTunes. You'll find that the new backups are created in E: \Backup (or wherever you created the new backup folder). Changing iTunes backup location is a good start to save the storage of the system drive. But the steps could be a bit complicated and technical. If you want to avoid these long steps, I would recommend you to use FonePaw iOS Transfer. This software allows you to backup iPhone data including photos, music, videos, movies, contacts, text messages, iBooks, ringtones, playlists, etc. to computer and you can choose any folder you like to save them. To freely manage your backup data, you can also rely on this iTunes Customer Service to be your best data backup assistant, which allows you to easily transfer various files from iPhone/iPad/iPod to the computer, including contacts, messages, photos, videos, apps and many more. With it, you are free to save the iPhone backup at any local disk as wanted!